An estimated 10,000 peasants gathered for a massive march in Central Haiti on June 4, 2010, to protest what has been described as “the next earthquake for Haiti” – a donation of 475 tons of hybrid corn seeds and vegetable seeds by the US-based agribusiness giant Monsanto, in partnership with USAID. None of these crops will produce viable seeds for future plantings and all require massive chemical inputs. On June 11, Chavannes Jean-Baptiste, leader of the Peasant Movement of Papaye (MPP) and spokesperson for the National Peasant Movement of the Congress of Papaye (MPNKP), began a series of meetings in Washington, DC and at the United Nations in New York. Through June 14, he will also meet with food security advocates and others in New York City. While Monsanto’s donation comes at a time of dire need in Haiti, many feel it undermines, rather than bolsters, the country’s food security. While Monsanto is known for being among the world’s largest purveyors of genetically modified seeds, the corporation’s spokespeople have emphasized that this particular donation is of conventional hybrid seeds as opposed to GMO seeds. Yet for many of Haiti’s peasants, this distinction is of little comfort. “The foundation for Haiti’s food sovereignty is the ability of peasants to save seeds from one growing season to the next. The hybrid crops that Monsanto is introducing do not produce seeds that can be saved for the next season, therefore peasants who use them would be forced to somehow buy more seeds each season,” explains Bazelais Jean-Baptiste, an agronomist from the MPP who is currently directing the “Seeds for Haiti” project in New York City. During Jean-Baptiste’s visit with US and UN officials, he plans to share the concerns of Haitian peasants regarding Monsanto’s seeds and to share alternative proposals for Haiti’s food security and food sovereignty developed by the Haitian peasants themselves. Saturday June 12 at 5PM: Community meeting at Lafayette Ave Presbyterian Church, 85 South Oxford St, downtown Brooklyn, near Brooklyn Academy of Music. Monday June 14 at 6 PM: Press conference followed by a community meeting at the 1199SEIU Martin Luther King Labor Center, 310 West 43rd Street, near 8th Ave, Midtown Manhattan. This entry was posted in organic, Peasants, Farmers, Ranchers, Sustainable Practices and tagged food security, haitian peasant leader visits US, haitians reject monsanto germinator seeds, mpnkp, mpp, organic farming. Bookmark the permalink. I really like this Post. Please continue the great work. Regards!!! I ACTUALLY was pretty pleased to search out this web-site.I desired to thank you for your effort with this great learn!! I ACTUALLY surely having fun with every little this and I have you bookmarked to see fresh thing you text. You should do more research. 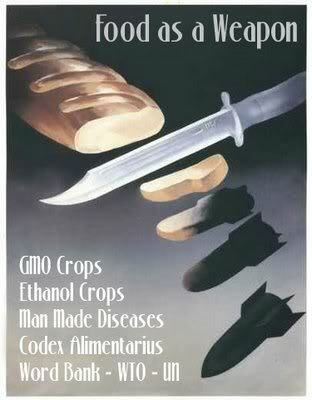 Monsanto does not nor have they ever produced a “terminator seed”. If they had it would still have to pass approval by the FDA. Each seed that is approved works its way through the regulatory process and takes on average 10 years on the low side up to 15 years before it can be sold to the public during which time they undergo rigorous testing not only by Monsanto but by the FDA and various other government offices. I’m all for dissent and varying opinions and will gladly listen to them but you sound like an uninformed idiot when you post articles like this that have very little if any factual information. This information can not only be found on the Monsanto website but in many other government and third party independent websites and journals which have no direct connection or and owe no allegiance to Monsanto. Jeremy.. seeds go through rigorous testing for 10 – 15 years?… Please show me the facts of that…. That is fine that Monsanto does not have FDA approval to produce a “terminator seed” in the US, but that does not preclude them from introducing it into earthquake ravaged Haiti. I’m shocked enough Haitians knew about the import and dangerous nature of this corn. It shows you how serious an issue this is for the people of the world.